Tuesday 20th February 2018 – As the mobile industry glimpses the future at next week’s Mobile World Congress, a new report from PwC’s Strategy& strategy consulting business brings readers to the year 2025, and illustrates two potential transformation scenarios for telecom carriers. Faced with competition from technology companies and alternative carriers, many telecoms are finding growth elusive and the status quo unsustainable over the long term. Many carriers today are facing the challenge of juggling two business models, without fully embracing either of them. One model is a utility-like business built on technology and operating excellence with large, long-term investments in networks and infrastructure. The other is a digital consumer experience business that relies on compelling digital services, apps and content, powered by data analytics and constantly evolving in a nimble way to deliver against ever-changing consumer demands and trends. Strategy&’s report, A tale of two telecoms, lays out the considerations and strategic choices telecoms must weigh as they forge a new path to future success. Following two hypothetical carriers from present day into 2025, the report provides tangible steps the two companies—BaseLink and DigiLife—take on their distinct paths to successful transformation. Diving deep into the strategies—and ultimately the successes—of the two companies uncovers important insights for an industry challenged on several fronts. “Although the companies in our tale are hypothetical, we believe many of the choices they make hold real promise for telecom carriers in today’s highly competitive environment,” said Dr. Florian Groene, a principal with PwC’s Strategy& strategy consulting group in the US. The first “tale” focuses on BaseLink, a company with solid but stagnant market positions that is struggling to keep up with consumers’ digital demands. Grappling with slipping revenues, relentless price competition, and difficulty differentiating itself from the competition, BaseLink invests heavily in seemingly attractive growth opportunities. When these fail to bear fruit, BaseLink faces high turnover and costs and declining stock prices. Offers a variety of virtual networking opportunities and unparalleled “fit for purpose” connectivity. PwC’s second tale focuses on DigiLife. Despite operating in several countries and making efforts diversify, DigiLife’s needle is not moving. But with immense increases in the amount of data being captured—not to mention rising consumer concerns about data privacy—DigiLife sees an opening for transformation: evolving to become the premier data manager. Foster the exchange and commercialization of data to become the data marketplace of choice for both consumers and businesses. Like the “formerly” struggling companies in PwC’s tale, real-world carriers need clear strategies that align products, services, capabilities, and resources with the organisation’s aspirations and identity. “Whether you are an incumbent carrier looking to leverage your market position, or a dominant player with a strong brand and resources available for R&D and product development, success requires making strategic choices and sticking to them,” said Pierre Péladeau, a partner with PwC France and Strategy&. Click here to download PwC’s new report, A tale of two telecoms. 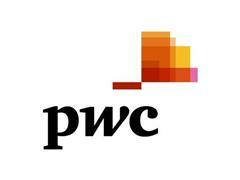 Visit PwC at Mobile World Congress in Barcelona, Spain, Hall 4, Booth 4C20, from 26 February to 1 March.